Jesus nahm zu sich die Zwölfe (Jesus gathered the twelve to Himself), BWV 22,[a] is a church cantata by Johann Sebastian Bach composed for Quinquagesima, the last Sunday before Lent. Bach composed it as an audition piece for the position of Thomaskantor in Leipzig and first performed it there on 7 February 1723. The work, which is in five movements, begins with a scene from the Gospel reading in which Jesus predicts his suffering in Jerusalem. The unknown poet of the cantata text took the scene as a starting point for a sequence of aria, recitative, and aria, in which the contemporary Christian takes the place of the disciples, who do not understand what Jesus is telling them about the events soon to unfold, but follow him nevertheless. The closing chorale is a stanza from Elisabeth Cruciger's hymn "Herr Christ, der einig Gotts Sohn". The music is scored for three vocal soloists, a four-part choir, oboe, strings and continuo. The work shows that Bach had mastered the composition of a dramatic scene, an expressive aria with obbligato oboe, a recitative with strings, an exuberant dance, and a chorale in the style of his predecessor in the position as Thomaskantor, Johann Kuhnau. 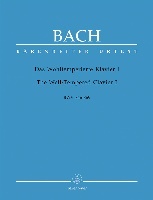 Bach directed the first performance of the cantata during a church service, together with another audition piece, Du wahrer Gott und Davids Sohn, BWV 23. He performed the cantata again on the last Sunday before Lent a year later, after he had taken up office. The cantata shows elements which became standards for Bach's Leipzig cantatas and even the Passions, including a "frame of biblical text and chorale around the operatic forms of aria and recitative", "the fugal setting of biblical words" and "the biblical narrative ... as a dramatic scena". 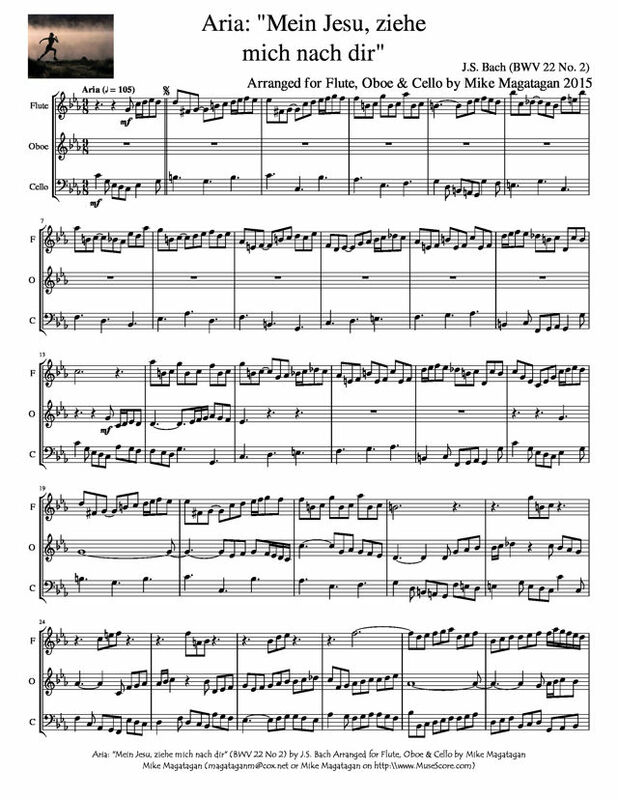 The cantata has five movements and is scored for three vocal soloists (an alto (A), tenor (T) and bass (B)), a four-part choir (SATB), and for a Baroque orchestra of an oboe (Ob), two violins (Vl), viola (Va) and basso continuo. The duration is given as c.?20 minutes. 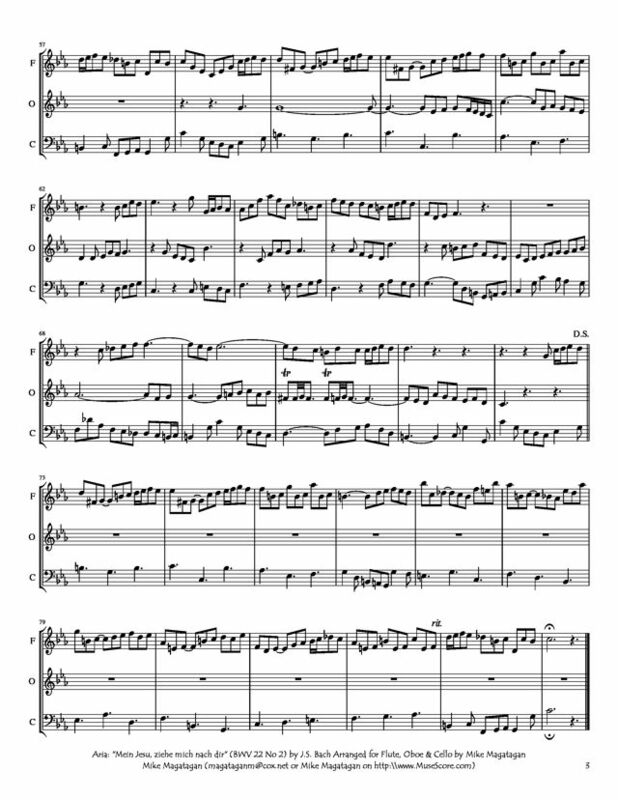 In this, the first aria, the alto voice is accompanied by an obbligato oboe, which expressively intensifies the text. In this aria, an individual believer requests Jesus to make him follow, even without comprehending where and why. 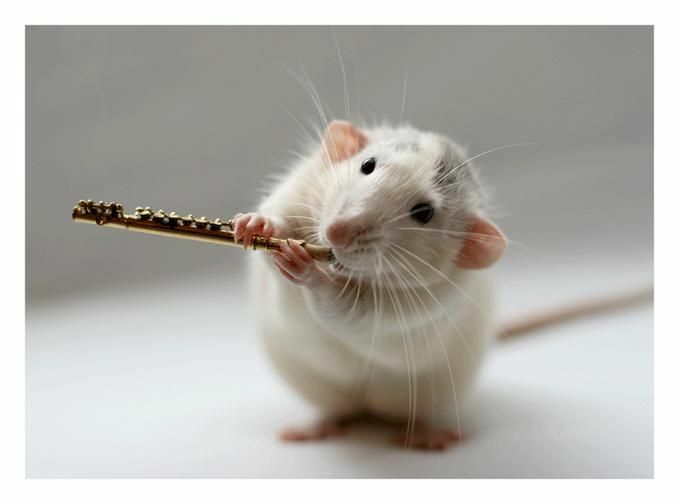 Mincham observes a mood or affekt of "deep involvement and pensive commitment", with the oboe creating "an aura of suffering and a sense of struggling and reaching upwards in search of something indefinable in a way that only music can suggest. 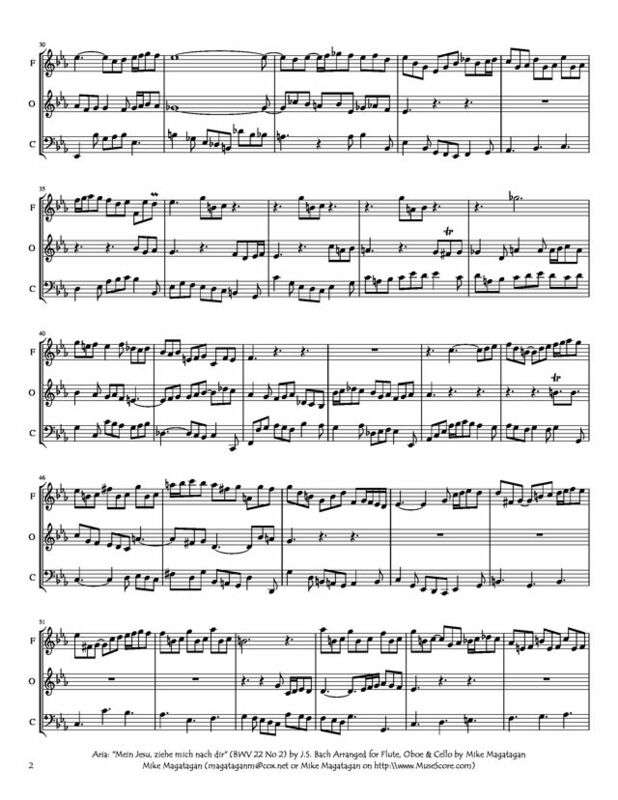 I created this arrangement of the opening Aria: "Mein Jesu, ziehe mich, so werd ich laufen" (My Jesus, draw me, then I will run) for Flute, Oboe & Cello.